Lock in a great price for The Beyond Villa Guilin – rated 9.8 by recent guests! I loved the quaint room. The staff was incredible. Real gems. Unfortunately, it was cold and rainy during our stay. Our room was warm but otherwise we were cold. 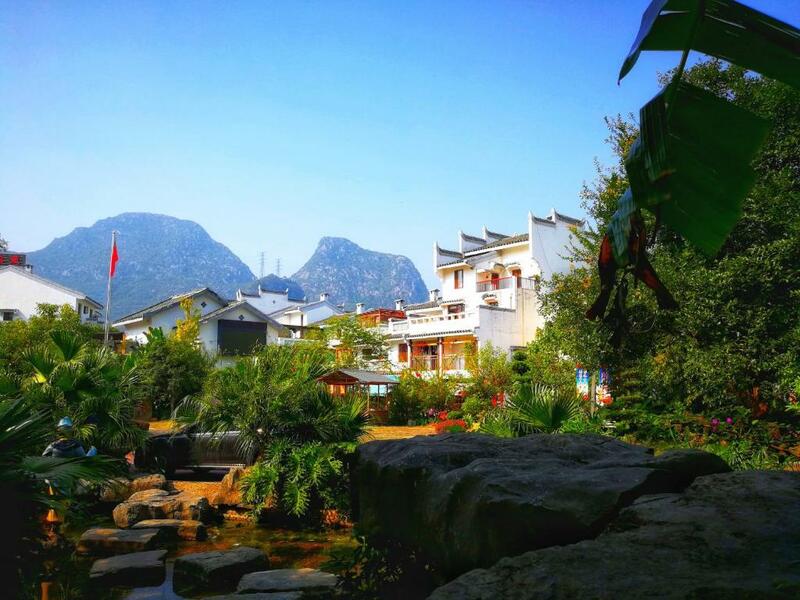 The Beyond Villa is tucked away from the busy Guilin city center - a perfect getaway! The hotel staff and hosts were absolute professionals in hospitality - on top of that, they were extraordinarily kind and accommodating. They even invited us to join them for a traditional, family-style Chinese dinner! Unfortunately, due to a last minute conflict, we were not able to join them - but they went above and beyond, even preparing a light meal for us at 10 pm in the evening. Our only wish is that we could have stayed longer to experience the local lifestyle. The hotel was amazing and the employees couldn't have been friendlier. Our room was beautiful and very clean and the staff helped us arrange an English speaking guide to get us around every day of our stay. 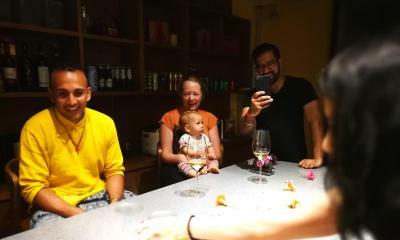 The owners also shared a wonderful big family dinner and tea ceremony with us and it made our trip to China. The breakfast was also great. The little village where the hotel is located is very cute and has some great restaurants. Bin and Monika (hotel staff) both took us around Guilin and drove all the way down to the Yangshuo to pick us up from our Li River tour, which was about a 2 hour drive. They took incredible care of us. My wife and I even got teary when we had to say goodbye to them. The room was delightful; an Asian style layout, extremely clean, terrific shower. Our hosts were very accomodating and prepared homemade breakfasts at our time, not theirs. The shuttle was driven by our host in a new, spotless, luxury sedan. Facility staff were really impressive. Very helpful and efficient. Have multiple free meals set up daily. One thing that doesn't come through in the info: this is a boutique hotel in a complex of boutique hotels set a little outside the city. That said, the area is nicer than staying in the city proper and the hotel staff are efficient at helping arrange transport around town or day trips around the area. Plus the area its located in is technically car free so it's a better location for families with kids. The location is famous for its old Tofu factory, hence you'll see a lot of tofu sellers around. There's a paved path that hugs the river next to the complex, which makes for comfortable walking and biking. Customer service is excellent! Staff was welcoming and helpful and they provide afternoon tea and evening snack. Village environment is best for a breakaway from city noise. The hotel is located in a comfortable and beautiful village. 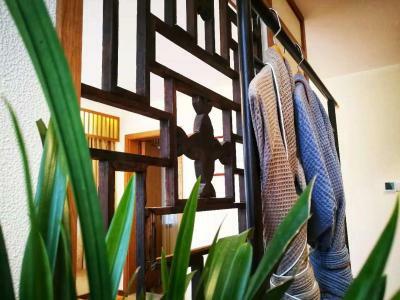 I like the style of the room tatami very much, the equipment is complete, living here feel different moods, the surrounding environment is also good, praise. 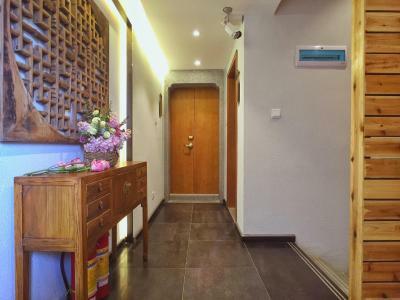 Good location, convenient surrounding meals, large room, clean and sanitary, good attitude of the front desk, give people a very pleasant feeling. The environment is so nice, fresh and quiet. Super Advanced. 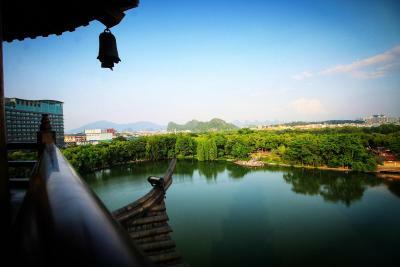 One of our top picks in Guilin – and a guest favorite. 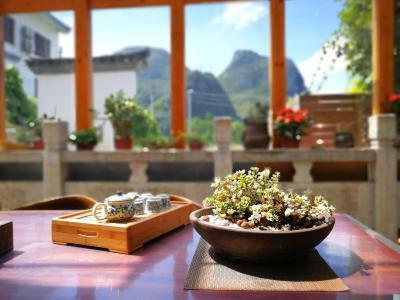 Set just about a 5-minute drive from Reed Flute Cave, 1.2 mi from the center of Guilin City, The Beyond Villa Guilin sits close to Taohua River and is surrounded by greenery and silence neighborhood. 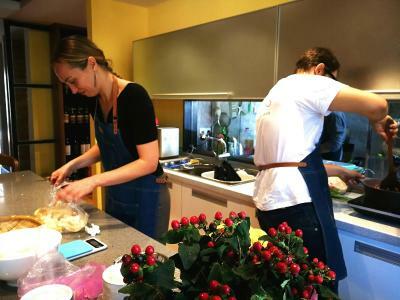 The property also provides a shared kitchen, tea class, cooking class, calligraphy class and Zen experience. All units feature a private bathroom and have air conditioning, a flat-screen TV and a oven. There is also a kitchen equipped with a microwave. A continental breakfast is served daily at the property. Guests can dine in the on-site restaurant, which specializes in Chinese cuisine. The holiday home offers a barbecue. 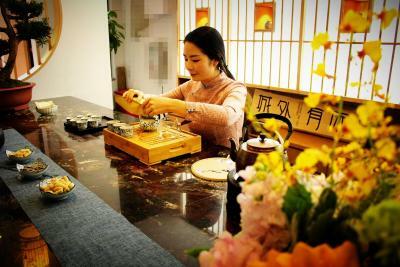 The Beyond Villa Guilin provides an ironing service, as well as business facilities like fax and photocopying. Gunanmen Gate is 2.1 mi from the accommodations. 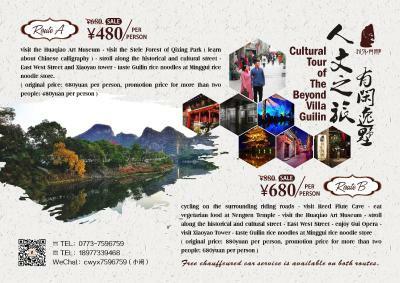 The nearest airport is Guilin Liangjiang International Airport, 15 mi from The Beyond Villa Guilin. 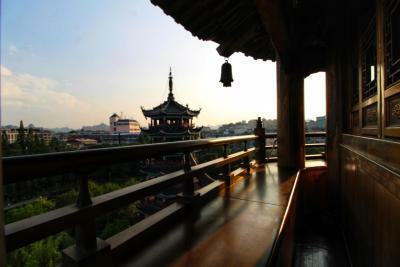 Xiufeng is a great choice for travelers interested in food, excursions and boating. 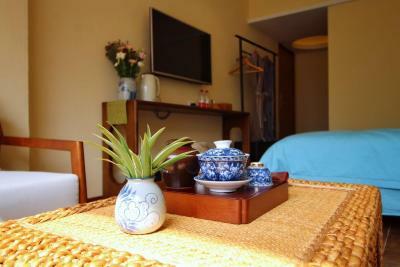 This property also has one of the top-rated locations in Guilin! Guests are happier about it compared to other properties in the area. 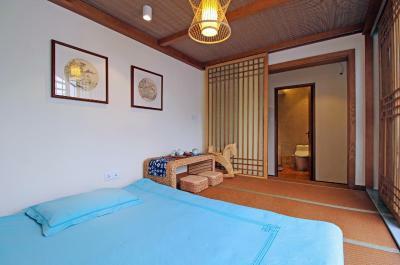 When would you like to stay at The Beyond Villa Guilin? This room is located on the second floor. 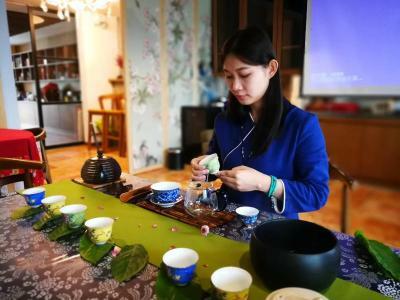 Decorated in a traditional Chinese style, this room features a 40-inch flat screen TV, soundproof windows, a Kung Fu Tea set, wooden furniture, air conditioning, breakfast and afternoon tea, 24-hour hot water and 2 bottles of water. The private bathroom features free toiletries and a hairdryer. This room is located on the second or the third floor. 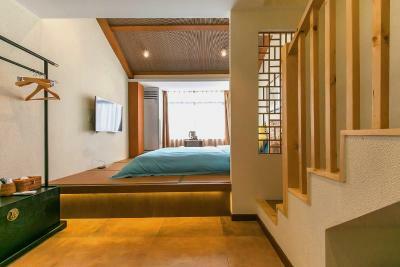 Decorated in a traditional Chinese style, this room features a 40-inch flat screen TV, soundproof windows, a Kung Fu Tea set, wooden furniture, air conditioning, breakfast and afternoon tea, 24-hour hot water and 2 bottles of water. The private bathroom features free toiletries and a hairdryer. This room is located on the second floor. 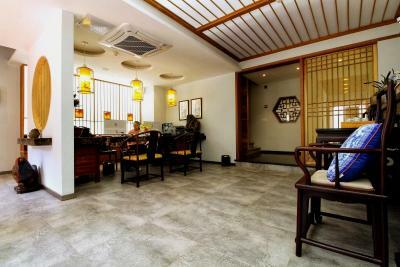 Decorated in a traditional Chinese style, this room features a 40-inch flat screen TV, soundproof windows, a Kung Fu Tea set, wooden furniture, air conditioning, breakfast and afternoon tea, 24-hour hot water and 2 bottles of water. The private bathroom features a bathtub, free toiletries and a hairdryer. This room is located on the third floor. Decorated in a traditional Chinese style, this room features a 40-inch flat screen TV, soundproof windows, a Kung Fu Tea set, wooden furniture, air conditioning, children's entertainment amenities, breakfast and afternoon tea, 24-hour hot water and 2 bottles of water. The private bathroom features a bathtub, free toiletries and a hairdryer. This room is located on the second floor. Decorated in a traditional Chinese style, this room features a 40-inch flat screen TV, soundproof windows, a Kung Fu Tea set, wooden furniture, air conditioning, children's entertainment amenities, breakfast and afternoon tea, 24-hour hot water and 2 bottles of water. The private bathroom features a bathtub, free toiletries and a hairdryer. Guests can enjoy free pick-up service from the airport. For reservation, please contact the property directly with the contact details provided in your confirmation. This room is located on the third floor. Decorated in a traditional Chinese style, this room features a 40-inch flat screen TV, soundproof windows, a Kung Fu Tea set, wooden furniture, air conditioning, breakfast and afternoon tea, 24-hour hot water and 2 bottles of water. The private bathroom features a tub, free toiletries and a hairdryer. This family room features a tumble dryer, toaster and patio. This double room features a electric kettle, tile/marble floor and flat-screen TV. This suite has a balcony, electric kettle and tumble dryer. Hotel surroundings – This neighborhood is a great choice for travelers interested in food, excursions and boating – Check location Excellent location – show map Guests loved walking around the neighborhood! House Rules The Beyond Villa Guilin takes special requests – add in the next step! Any additional older children or adults are charged CNY 188 per night for extra beds. 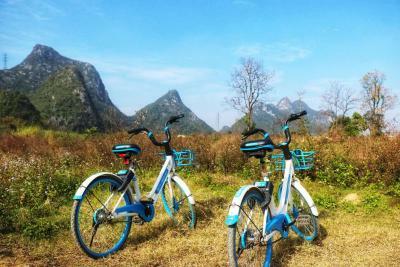 The Beyond Villa Guilin accepts these cards and reserves the right to temporarily hold an amount prior to arrival. 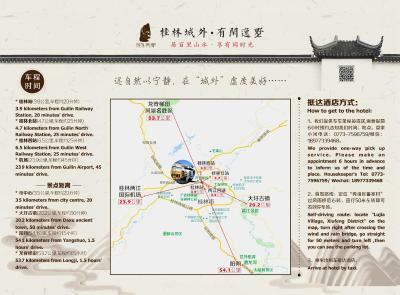 Please inform The Beyond Villa Guilin of your expected arrival time in advance. You can use the Special Requests box when booking, or contact the property directly using the contact details in your confirmation. Like most places in the Guilin area, there is a surprising use of slippery tile for flooring, given the frequent rain. Not sure what could be done per-se, as the use of tile is not exclusive to this hotel. Minor thing the pillows are too soft which we managed by sqeezing two pillows in one cover. it would looks better if the doona in the closet is folded. Didn't except that the hotel prepared such delicious local breakfast , high tea and snacks during the night for every guest every day . The stuff were so welcomed and polite to us and took care of us in every aspect . The room was pretty clean . Decorations inside are delicate and exquisite and you can feel the attitude of the owner how to run this hotel . The location is not in the downtown so it was not very convenient for us not driving our own car, but you can ask receptionist to help u book a car . However it is near the Reed Flute Cave.Anyway, I would recommend my friends to stay here next time. 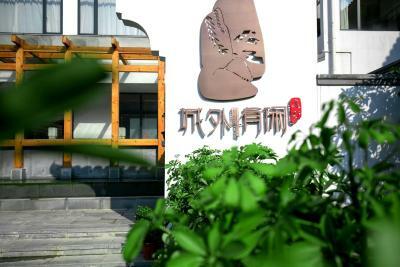 Best of all, this hotel is so warm because of equipped with the ground heating system, during the cold season. The owner was very enthusiastic, I feel quite at home staying and eating here. The hotel is in the scenic area, the environment is very good, close to the downtown area, so the traffic is very convenient. The room is very comfortable. 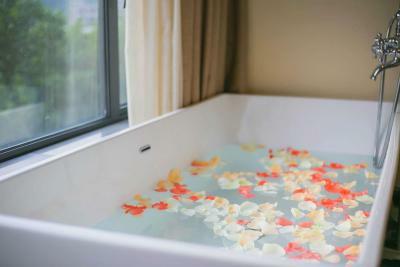 It is quiet and clean, good for vocation. The boss upgraded a loft family room for us, There tow tatami at upper and lower floors, it was like a children park for child. The hotel offer pickup service, not far from the city center, 15 minutes by car. We walked back to hotel and enjoyed the very good scenery on the way after traveled around. I have to say that dining in the hotel was a good choice for us, even for my picky boy, so delicious. The environment of this hotel is very calme and confortable.I really like it. I'am attracked by the Chinese traditional style of this hotel. 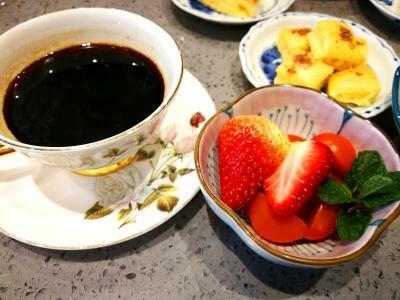 Room is very confortable and with warm enough.For me ,it's a suitable place to relax myself.The thoughtful and meticulous service.I had a local breakfast! 20 min drive away from central area, but taxi fare is cheap. Lack of hot water in shower. Super kind staffs are always ready to help us, when making coffee for breakfast, booking a tour or calling a taxi. The room was clean and comfortable. 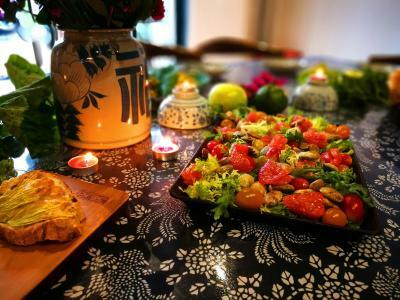 We were also invited to the host’s year end party on new year eve, which was very pleasant. Highly recommendable. Room facilities are very clean and tidy, like the interior decoration style, beautiful environment, full of memories of the place. The environment is very good, the room is very beautiful, warm and comfortable, even the easily neglected place like the bathroom is clean and tidy, tidy and meticulous, it can be seen that very attentive, I give very.